Built for the way we communicate in the Era of Live, Samsung Electronics’ new Galaxy A80 and Galaxy A70 are packed with powerful innovations that allow you to capture the world as you see it, enjoy immersive multimedia experiences, and stay connected for longer. 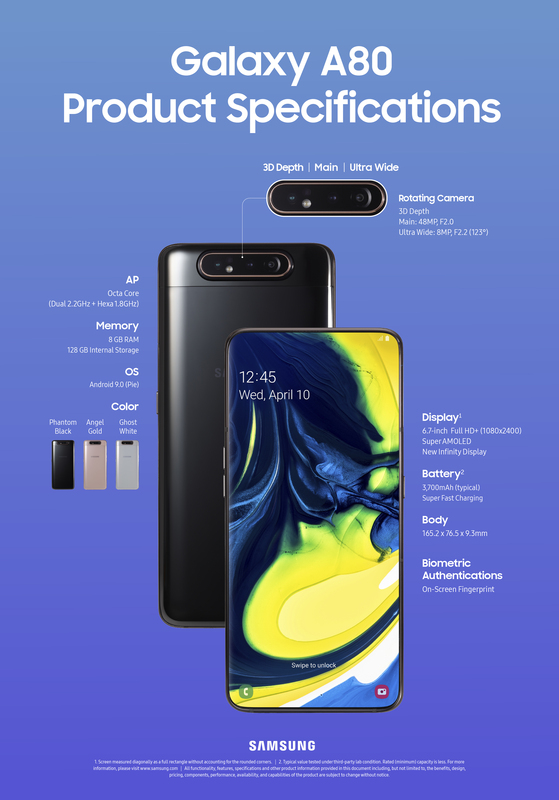 These include, on the Galaxy A80, Samsung’s first rotating camera, its first New Infinity Display, and a spacious and Super-Fast Charging at 25W capabilities. 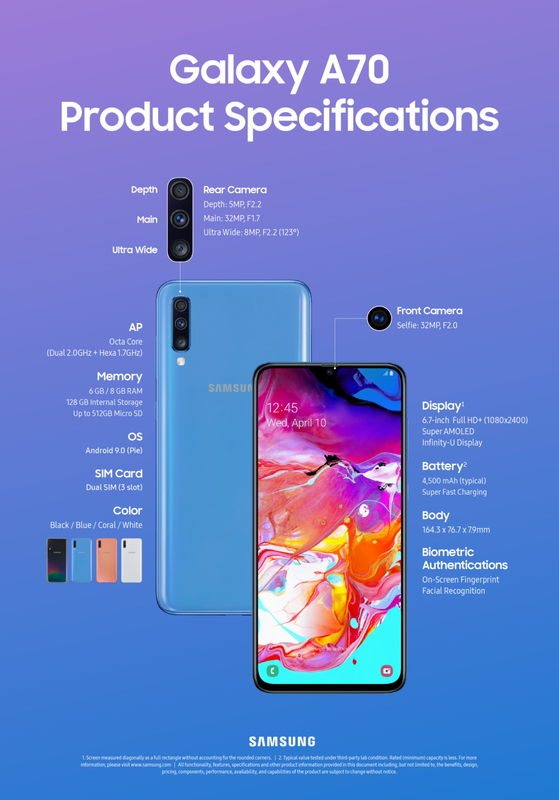 And on the Galaxy A70, an enhanced triple camera, a 6.7-inch Infinity-U display, and a Super-Fast Charging 4,500mAh battery. Check out the infographics below to learn more about the smartphones’ impressive specs.